Tutorial articles and reference guides will be posted here. Auto bracketing is an invaluable tool when you want to be sure to always get the right exposure in challenging situations. 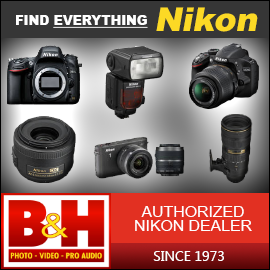 It is a feature available on all current Nikon DSLRs save the D3000 series, and it works by taking a set of 2 or more (typically 3 or 5) photos with exposure values shifted slightly above and below what the camera recommends. Bracketing can help you capture HDR shots and allow you to always recover the shadows and highlights in an image. 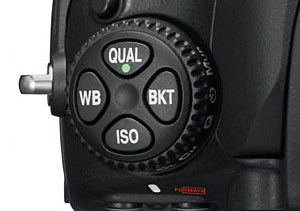 Read our guide below for auto bracketing 101! Dust on your DSLR's sensor can be a real nuisance, especially as the number of dust particles build up over time. Every time you change or remove a lens, dust can enter the mirror box and later fall onto the sensor itself. This can lead to visible spots in your images, especially when you stop down to smaller apertures. Fortunately, effectively cleaning your sensor is something you can easily do in the comfort of your own home. You will only need a few inexpensive accessories to get started. 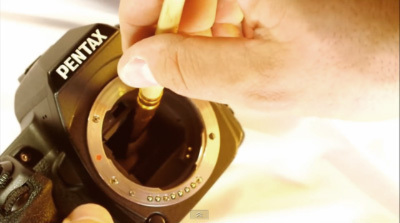 To learn how to clean your camera's sensor, follow the link to our tutorial below!